Sea Shammies are a fun, floppy haired plush dog toy. 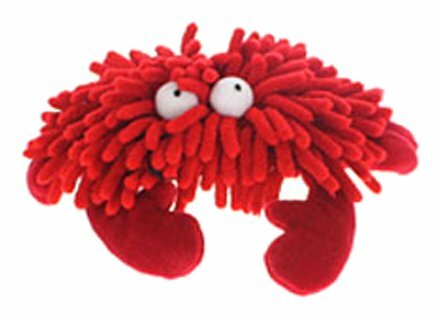 This cute and brightlycolored sea creature features a polyester fiber plush filling and a plasticnoisemaking squeaker. This toy is designed for small and medium sized dogs.